Raekwon is finally wrapping up his weekly Throwback Thursday series today (October 30) by remixing a couple of classic soul tracks. 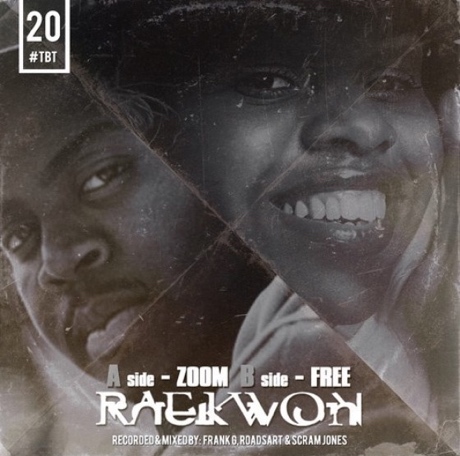 This five-minute cut starts off with Rae rhyming over "Zoom" by the Commodores (although Raekwon actually uses Big Bub's version from the '90s), and it glides smoothly into "Free" by Deniece Williams. This includes a thank-you from the Chef, as he reflects back on his Throwback Thursday journey. Rae tweeted that the Throwback Thursday tracks (plus a couple of additional ones) will be collected on a mixtape called I Wanna Thank You. It will be out tomorrow on Datpiff. it will be for free download via @DatPiff Tomorrow wit all the records released N cpl more joints! The tape is called "I wanna thank you"
Hear the medley of "Zoom" and "Free" below.